Miniature trim safe with key lock can easily be mounted under a counter or almost anywhere. Predrilled on sides, back, top and bottom for mounting. The hinged door is key operated and features a 3/4" drop slot with an anti-fish baffle. Trim safe includes mounting hardware. Made of plate steel. Weighs 15 lb. Inner dimensions are 5" wide x 6" deep x 11" high. 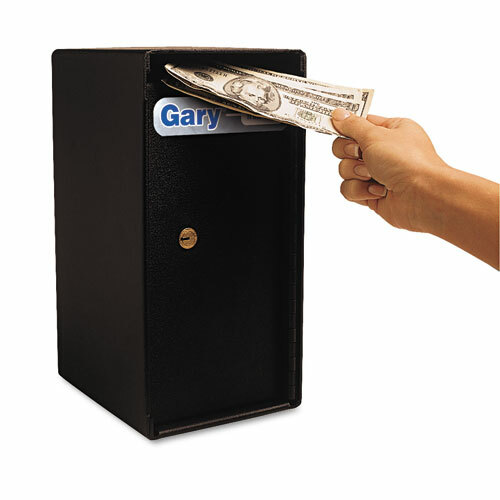 Miniature trim safe offers a 3 cubic foot capacity.